1. We are the only flexible office and workspace search service that is regulated by the Royal Institution of Chartered Surveyors (RICS) and is a member of the Global Workspace Association (GWA). Ensuring property professionalism at all times. 2. We are independent and impartial. We work with 99% of the office providers in 900 locations in 120 countries. This ensures that we will always find you the perfect office and workspace solution for your size, budget and location requirements. 3. Our services are completely FREE, and always will be. We are paid a fixed fee by operators/landlords and no costs are passed on to you. 4. We are members of The Property Ombudsman (TPO). The scheme has been providing consumers and property agents with an alternative and independent dispute resolution service for 26 years and provides consumers with a free, impartial and independent alternative dispute resolution service. 5. Our office space database is live. It contains over 30,000 individual office and workspace options and is updated as availability alters. This ensures that you will only receive the most current information on office space availability. 6. We provide you with a free availability report highlighting the options that match your bespoke requirements. If you wish, we can then arrange viewings and we will negotiate the very best deal that meets your specific needs. 7. Experience. Our consultants have combined professional experience over many decades within the office and workspace industry. 8. We are open and transparent. We provide you with information at every stage. Our policy is to ensure that you have all the information you need in a suitable, user-friendly format. 9. You will only deal with one consultant who will be your sole representative throughout the whole search process. We always make sure that you deal with an experienced consultant who is best qualified to meet your particular needs. 10. We can provide an office and workspace solution for all requirements. Whether the requirement is for serviced offices, managed offices, co-working space, private offices, traditionally leased office space, virtual office space or simply hiring a meeting room, we can help you find the perfect solution. 11. 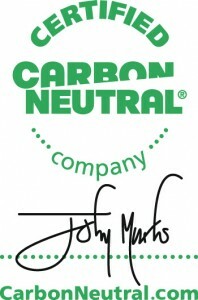 We have achieved CarbonNeutral® company accreditation. Working in partnership with The CarbonNeutral Company, we can put you in contact with carbon reduction experts who can provide advice on reducing your company’s carbon footprint in both your office space and across your whole business operations, if you wish. 12. We provide more. We do not just provide an office space search service. We have a successful partnership with Bookings.com so if you require business travel and accommodation anywhere in the world, at reduced rates then you can book it through the Bookings.com section of our site. We respect your confidentiality and never divulge your details to third parties. TheOfficeProviders.com are proud to have achieved CarbonNeutral® company accreditation. Working with The CarbonNeutral Company we have measured the carbon emissions that our business produces (our ‘carbon footprint’) and then reduced this to net zero. We have done this through internal reductions initiatives such as using recycled office consumables, changing heating and lighting strategies, utilising virtual storage, using greener modes of business transport and increasing recycling. In order to reduce our carbon footprint to net zero we have offset the remaining carbon emissions through The CarbonNeutral Company. This means that for every one tonne of CO2 that we produce, we pay to enable an equivalent amount to be saved by an offset project somewhere else in the world. TheOfficeProviders.com have chosen to offset with the Tamil Nadu Wind Power Project in India. This project involves the construction of 27 new wind turbines in India. Located at a number of sites in the Erode district of Tamil Nadu, this project generates approximately 21.93 MW of clean electricity which is delivered to the Southern Regional grid. This displaces electricity that would otherwise have been derived from fossil-fired power stations, avoiding CO2 emissions, local air pollutants and solid waste associated with the consumption of coal. If reducing your company’s carbon footprint is important to you then we understand your goal. Our experience and expertise can help you choose office space that is more energy efficient – this could be in a building that has a high BREEAM or LEED rating. Working in partnership with The CarbonNeutral Company, we can put you in contact with carbon reduction experts who can provide advice on reducing your company’s carbon footprint in both your office space and across your whole business operations. For further information regarding services from The CarbonNeutral Company, please contact us.